Lately, it seems as if our household are venturing into natural products more and more. Quite recently we have been using some natural products for our hair, our skin and now we have come across a this company Forever Living. I don't know if you have noticed but there seems to be a new health and beauty craze that everyone seems to want to try - Aloe Vera, which has become known as the miracle plant. It’s used in traditional Indian medicine for constipation, skin diseases, infections and as a natural remedy for colic. In Chinese medicine, it’s often recommended in the treatment of fungal diseases, and in the Western world, it has found widespread use in the cosmetic, pharmaceutical and food industries. Aloe Vera produces two substances used for medicine: The gel is obtained from the cells in the centre of the leaf, and the latex is obtained from the cells just beneath the leaf skin. Most people use Aloe gel as a remedy for skin conditions, including burns, sunburn, psoriasis and cold sores, but there is a host of other Aloe Vera benefits. Aloe gel is used for treating osteoarthritis, bowel diseases, fever, itching and inflammation. It’s also used as a natural remedy for asthma, stomach ulcers, diabetes and for soothing side effects of radiation treatment. Aloe latex is used to naturally treat depression, constipation, asthma and diabetes. So as you can see there are so many benefits to using this miracle plant and I couldn't wait to get my hands on some. Forever Living is a company that offers a range of natural products that combine all the benefits of the Aloe Vera gel with other ingredients. There are so many products that you could choose from to add a little Aloe Vera into your life, Forever Living offer a wide range of gels, juices, supplements, hair and beauty products, sport nutrition, weight management and even pet care. Seriously you'll be able to find something to suit your lifestyle. Luckily for me, I came across a representative that I actually know who was more than helpful in answering all my questions about one product in particular, their Aloe Vera Gel. I had heard nothing but good thing about this Aloe Vera Gel and I was really interested in all the health benefits of drinking a small glass of this everyday to help aid my weight loss and increase my energy levels. It contains 19 of the 20 amino acids that are required by the human body, and seven of the eight that the human body can't product itself, helping to promote overall health. First things first, let's get this one out of the way: the taste wasn't great! There were no two ways about it, it was pretty awful! In a nutshell, the scent of the gel was very medicinal, almost like TCP, and the gel itself tasted like watery, bitter acid reflux with a slight sweet tinge on the finish. Can you imagine that? As I was trying to stomach the gel, I remember thinking what on earth have I wasted my money on! I spoke to my representative as I was struggling and she advised me to drink my Aloe Vera Gel before I did anything else, it was worse after brushing my teeth. However, when I started to add fruit juice, or cordial to the gel it became more bearable. Thankfully, you don't need to drink a lot to get the benefits and now I no longer wake up dreading that shot glass in the morning. The first thing that I noticed about drinking this gel daily was how settled my stomach became. Quite recently I have been suffering with my tummy, partly because of the complete change in my diet and I would get very strange sensations in my tummy, similar to baby kicks. But since drinking this little shot of Aloe Vera Gel, it's completely vanished. A bonus for me was seeing a big change with my hair, skin and my overall well being. I wasn't questioning whether the nasty taste was worth it or not, because I knew it was working almost straight away. A great improvement to help me ensure I live a healthier lifestyle that's for sure. After using this Aloe Vera Gel for a month, I was then kindly offered to try out some other Forever Living products. 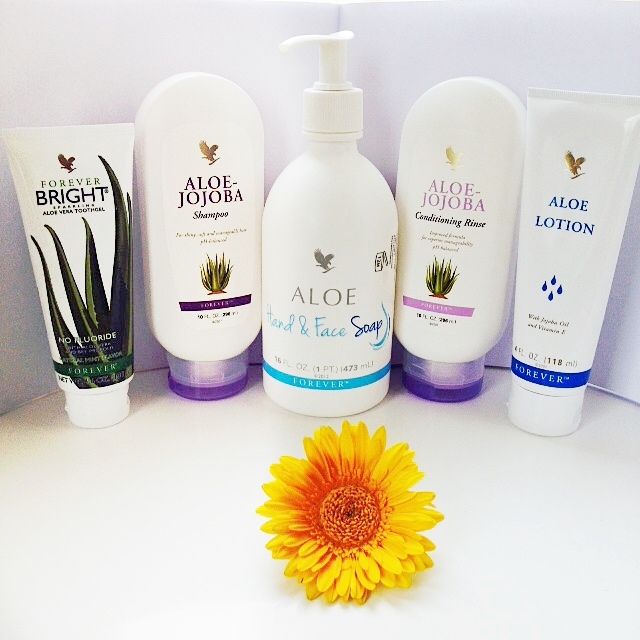 In order for me to reap the benefits of the Aloe Vera products I made sure that I swapped them with my usual products. This shampoo helped to create soft, shiny and manageable hair with the pure Aloe Vera content, for all types of hair. I really liked this shampoo, it foamed up really nicely and left my hair feeling much softer than usual. 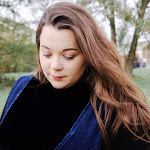 It completely stripped my hair of all products and left my hair feeling less tangled than usual after washing with my go to products - L'Oréal Elvive or the Aussie Range. This contains jojoba and vitamin B to help nourish, protect and strengthen the hair. I left this conditioning rinse on for a few minutes, as recommended, then rinsed out. Normally I only condition my ends, but with this I decided to do my roots too. This left my hair feeling so soft and shiny and smelled great. Even though the hair products are amazing the cost put me off, definitely over priced. This is a luxurious natural moistening, cleansing soap with a mild formula. This product is perfect for the entire family and great for sensitive skin (I have eczema). It has a wonderful refreshing scent and leaves your skin feeling soft and cleansed. At first I was put off using a hand soap for my face because I just thought it was odd, but I am glad I did. This left my face feeling hydrated and I didn't get that tight or sore feeling. This Aloe lotion had a thick consistency but soaks in quickly without leaving you feeling greasy. After about 10 minutes I felt as if I hadn't applied any cream at all. My skin felt nourished and so soft, this is by far one of the best lotions I have ever tried. I would recommend and purchase. I even use this on softener my feet after a bath - its such a fab moisturiser. For me, this has to be my favourite product from the range. 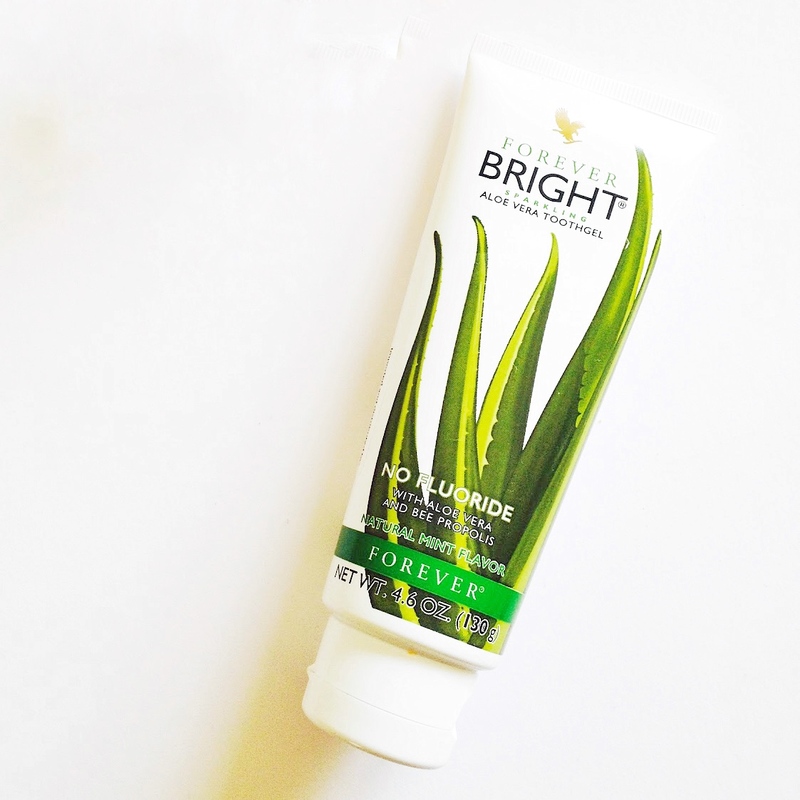 The Forever Bright® Sparkling Aloe Vera Tooth gel has been formulated for the entire family to use, it contains the highest quality ingredients. It is also suitable for vegetarians since it contains no animal by-products. Natural peppermint and spearmint flavourings leave your mouth feeling fresh and clean. But what I am most intrigued with is that it is fluoride free, what could be better? At first, I was a little dubious about the tooth gel in comparison to my usual toothpaste but I still couldn't wait to try the Forever Bright ®. Squeezing a pea sized amount onto my toothbrush, I was completely surprised by the bright green colour, I guess I wasn't really expecting that! I have been conditioned my entire life into brushing a white thick paste across my teeth, with the emphasis on giving you a brighter, whiter smile seeing that bright green pea sized amount of toothpaste on my toothbrush I was unsure. The taste of the tooth gel was super refreshing, cool and easy to brush around my teeth and gums, I actually thought that this tooth gel tasted a lot better than some of my other toothpastes as sometimes they can be over powering. After the first use my teeth felt clean and fresh and what made it even better was that it was so refreshing to use without the use of harsh chemicals. I think a big thumbs up goes to the fact that there is no fluoride, making it easier for my daughter to use. Forever Bright® is definitely a purchase that I will make again. *DISCLAIMER* MIMI ROSE AND ME IS A PERSONAL BLOG WRITTEN AND EDITED BY MYSELF ONLY, UNLESS OTHERWISE NOTED. MY REVIEWS ARE COMPLETELY BASED ON MY OWN OPINION OF THE PRODUCT REVIEWED, THE PRODUCTS WERE OFFERED ON A TRIAL BASIS. 2 comments on "THE BEAUTY EDIT | Forever Living Aloe Vera"